Xtreme Racing has released a 4mm thick carbon fiber rear shock tower for the Mugen MBX5R. The Xtreme Racing carbon fiber shock tower has all the stock shock hole locations plus an extra row of mounting holes for even more tuning ability. At 4mm thick, these new Mugen carbon fiber shock towers will take a beating and still keep on going! 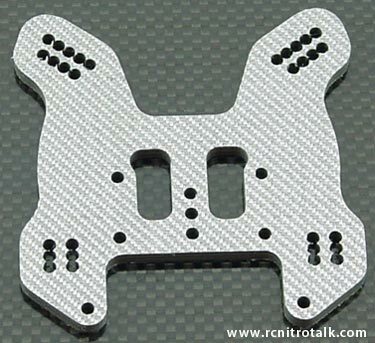 Discuss the new Mugen MBX5R carbon fiber shock tower in our 1/8th scale Buggy forum!